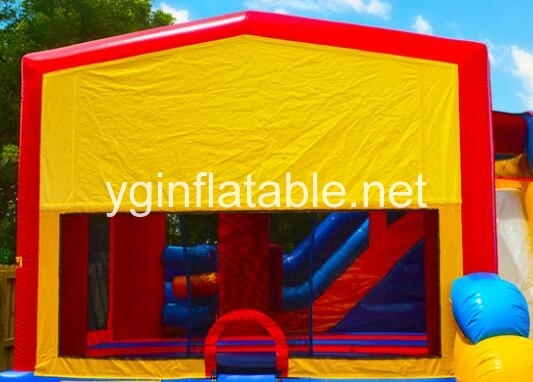 It is no doubt that children love to jumping up and down in an inflatable bounce house to have fun. But for parents, they are more concerned about their kid’s safety when their kid is enjoying in the bounce house. A lot of unexpected accidents can happened if you have not instituted essential safety measures. So here are some important tips for you to keep in mind. The first thing you have to ensure is that the bounce houses need to be secured to the ground. 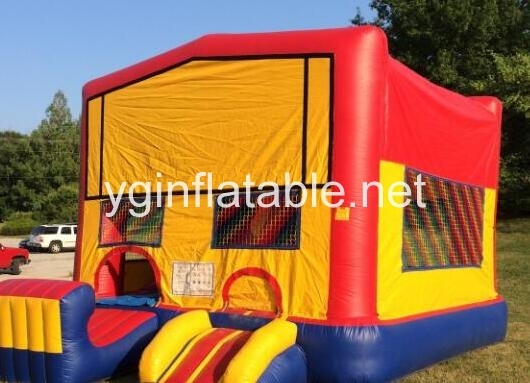 While a bounce house may be a heavy object, since it is filled with air, a significantly strong gust of wind can readily make the bounce house float away. So you just use a heavy material to hold it down into the ground. Some bounce models already have preventive measures in place. And now you should make sure that these measures are in place and are working. You should also do your part when the weather too windy. It is recommended that you deflate your bounce house when the wind is already going about 15 miles per hour. While there are products which can withstand winds up to 25 miles per hour, it may be wise for you to already deflate then before they reach the maximum guidelines. More importantly, do not allow your kids to play inside the inflatable when the wind is picking up speed. No matter there are strong gusts of wind or not, there should be adults supervising the kids when they are playing in the inflatable bounce house. Set limits with the children and never allow them to play without an adult looking after them. And it is important to set rules on the maximum number of persons who will be allowed to play inside the inflatable house. Be sure that your children understand these limits and that they are following them. This is one way by which you can ensure that no preventable injuries will happen. 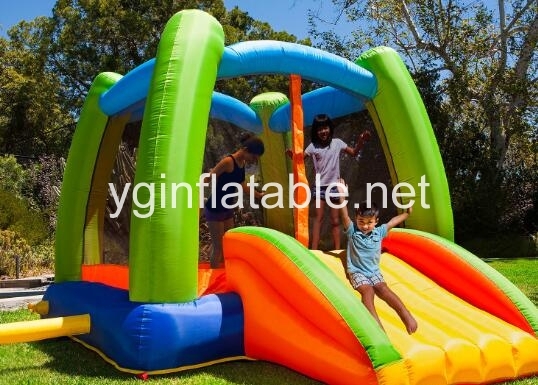 You should only let similar-aged children play together inside these inflatable bounce houses. It is much dangerous to let a 3 year-old kid play with an 8 year-old one. Because the elder child will have a possible to hit the younger one when they are playing in the house. A significantly bigger and older kid can injure a smaller and younger child. Limit the amount of time the kids are inside the house. When kids are tired they may stepped on by other kids who are still playing. Be sure to make your kids get out of the bounce house once you see that they are already tired. When you have a plan to buy an inflatable bounce house for your kid, there are also a few things that you need to keep in mind. If a bounce house comes with a slide, it is important for you to determine the appropriate height of the slide. While a taller slide can provide more excitement, it might not be safe for very young kids. Also, you will need to look for inspection stickers on the products that you are planning to purchase. All of these methods can keep you have a clear mind in the inflatable bounce houses.